The deadline for June 2019 examination registration is soon approaching……Enrol now to study for professional qualifications in banking and financial services on a self-study and distance mode basis. All professionals working in the financial sector are encouraged to apply and enrol for the Zambia Institute of Banking & Financial Services (ZIBFS) self-study professional qualifications in Banking & Financial Services. 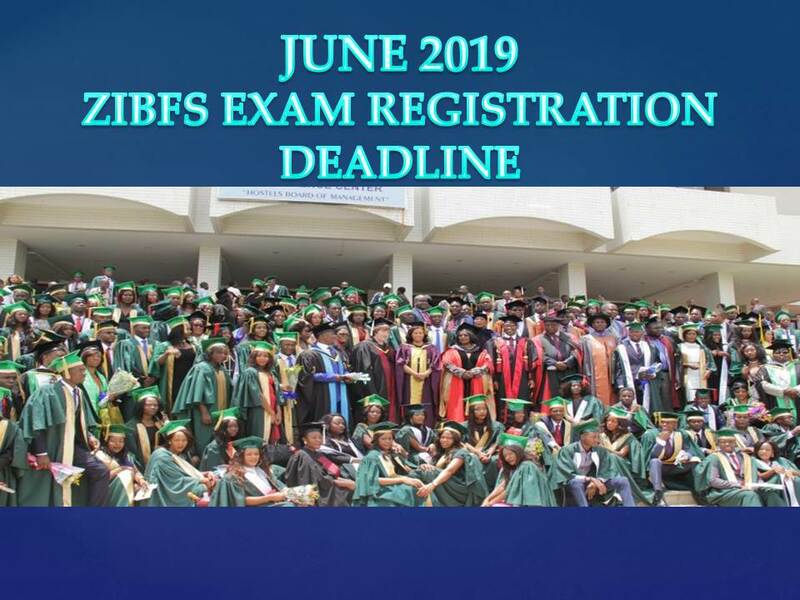 The deadline for June 2019 exam registration is 15th April 2019. Programmes offered by the Institute are very practical in nature and have proven to be very popular among students and working professionals in the banking & financial services industry. Graduates in Institute programmes have given very positive feedback on the quality of Institute Examinations and that they have learnt a lot during their course of study. Examinations at the Institute are held twice a year for each programme. Zambia Institute of Banking & Financial Services. 248A Namambozi Road, Fairview Lusaka.